(March 27): Most Asian currencies hit multi-month highs on Monday, as the dollar declined across the board after U.S. President Donald Trump failed to push through a healthcare reform bill. The collapse of the healthcare legislation has raised doubts about Trump's ability to deliver on other key campaign pledges such as tax cuts and massive infrastructure spending. However, after his setback, Trump said he would turn his attention to getting "big tax cuts" through Congress. The Taiwan dollar surged to a 30-month high at 30.244 per dollar, while the Thai bhat rose to a 20-month high at 34.429 per dollar. The Indian rupee and the South Korean won also touched multi-month highs on Monday. Emerging Asian currencies were also supported by a fall in U.S. Treasury yields. The 10-year U.S Treasury yield stood at 2.3675% on Monday, the lowest in nearly a month. "Generally (the healthcare defeat) is a disappointment for the 'Trump trade'. But in terms of impact on risk sentiment, it is mixed, given the Trump administration now says it will move on and focus on tax reform, which is relevant to the market," said Sim Moh Siong, FX strategist at Bank of Singapore. He also said the fall in U.S treasury yields would encourage carry trades in the emerging Asian currencies. "There is still desire to reach for yield, that's keeping the Asian currencies supportive," Sim said. Reuters calculations showed the carry trade in Indian rupee has yielded more than 5% this year. However, most of the Asian currencies' gains were linked to the region's rallying equity markets this year. The MSCI's broadest index of Asia-Pacific shares outside Japan. MIAPJ0000PUS has risen around 12% so far in 2017. Hencem equity inflows into the region would determine the Asian currencies' movements in the short term, some analysts said. 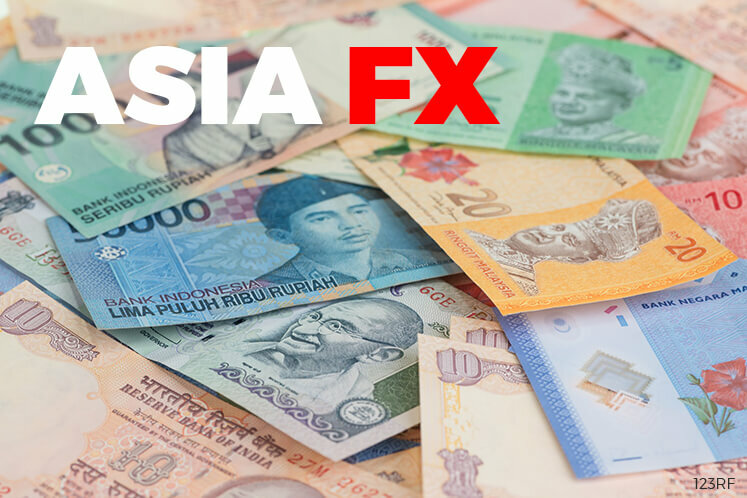 "Our sense is that caution creeping in via equity market impact will act as the initial backstop for USD/AXJ," Mizhuo Senior Economist Vishnu Varathan said in a note.